Click the Start button , right-click Computer, and then click Properties. Scroll down to the bottom of the window that appears, and then, under Windows activation, click Change product key. If you’re prompted for permission to continue the process, click Continue. 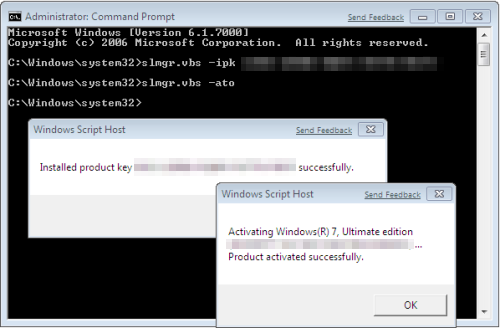 Follow the instructions to change your product key and activate your copy of Windows 7. Click the Start button and run cmd as Administrator. How to Change Windows 7 Product Key was published on July 06, 2015 .